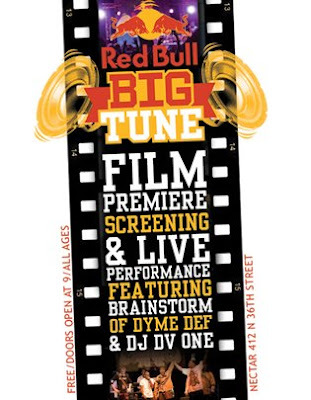 Check out the screening for a film that covers the event, participants and cities across the nation involved in last year's Big Tune. Brainstorm of Dyme Def will be performing and DV One holds it down on the wheels tonight at Nectar. This is a free all ages event and doors open at 9 this evening.